Spring Conference 2017, KwaTaqNuk, Polson, Mt. 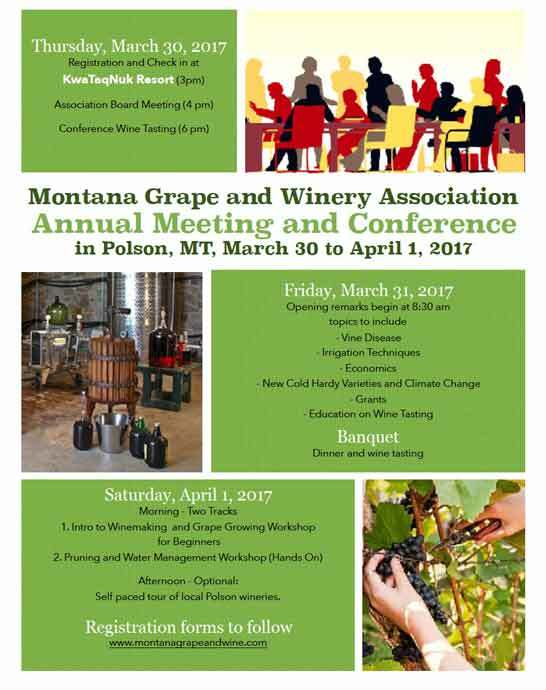 On fabulous Flathead Lake, the Montana Grape Growers and Winery Association will host their third Annual Conference from March 30 – April 1 2017. A social event, a learning event, a tasting event…on and on. Meals are planned, pruners are sharpened for an exciting class, vineyards are preparing. We will also offer winemaking and grape growing education for beginners.